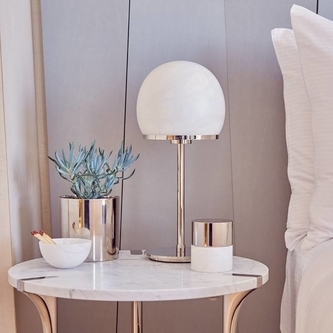 Designer Anna Rabinowicz launched her first home collection for RabLabs in 2002, creating objects inspired by nature which fuse ancient, precious materials with cutting-edge design. She uses a luxurious palette of materials, layering semiprecious gems including agate and crystal with the finishing touches of pure gold and sterling silver. Anna has a long history of looking at nature for inspiration. Having designed such intricate objects as prosthetic knees and devices for cardiac surgery, she brings her experience and understanding of biology and nature to the design of elegant objects for the home. 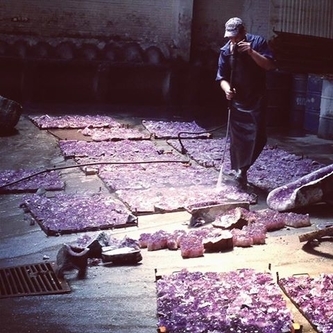 Working with skilled artisans in the United States and Brazil, her hand-crafted designs provide a much needed natural component to both modern and traditional interiors. Anna has taught courses on design and social entrepreneurship at universities for over ten years, including at California College of Art and Design, Pratt Institute, and Parsons The New School for Design, where she is presently an Associate Professor. 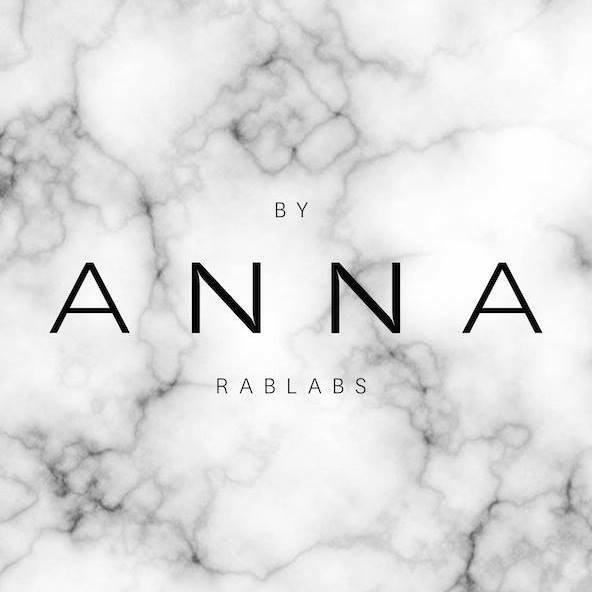 Anna’s designs for RabLabs have been featured in top publications including The New York Times, Elle Décor, Architectural Digest, Harper's Bazaar, O Magazine, and New York Magazine. RabLabs items have been carried by such leading design venues as the Museum of Modern Art stores, Moss, and Barneys New York.